We had such a good time yesterday, swimming and playing ball, that we’re still tired. 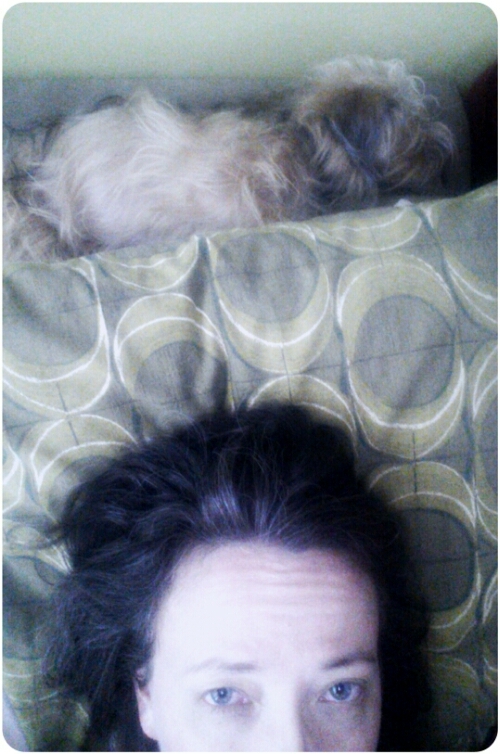 This is about as close as Lola will get to me while I’m napping on the couch. She’s so cute.